Rik Palieri- is a talented singer, songwriter, multi instrumentalist, storyteller and member of "The Mythical Order of The Rose Tattoo", who lives the musical life to the fullest. Rik has performed at concert halls, schools and festivals throughout the lower 48 states, toured Alaska by float plane, rode camelback in Australia and sung on trains throughout Europe He has performed, in Canada, France, Spain, Germany Australia, Poland, Mexico and Argentina. He has appeared at such venues as The Kennedy Center, The Country Music Hall Of Fame, The Philadelphia Folk Festival, The Port Ferry Old Songs Folk Festival, The Hudson River Revival, The Vancouver festival, plus countless TV & radio programs. Rik is also the host & producer of “The Song Writer’s Notebook “, a TV show, archived in the American Folk Life Center in the new “Rik Palieri Collection”, at The American Folk Life Center Archives in Washington D.C.
Rik has recorded 8 albums; He is also an occasional writer for Sing Out! 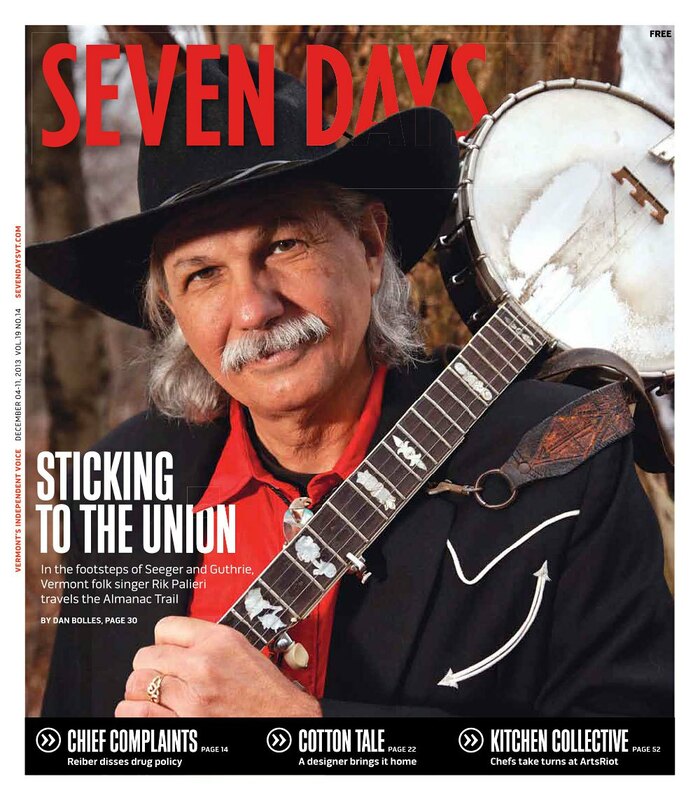 Banjo Newsletter & author of a book "The Road Is My Mistress, Tales Of A Roustabout Songster". Over the years Rik has performed and worked with some of the legends of American Folk Music such as; Pete Seeger, Tom Paxton, Jimmie Driftwood, U. Utah Phillips, Ramblin' Jack Elliott & many more. In 2009 Rik was featured on the Grammy nominated Singing Through The Hard Times: a tribute to Utah Phillips.